SHHHHHH……Can you hear it? Can you feel it? It’s the winds of change. The Diabetic community is quietly beginning a movement. A movement that will change the way the world views Diabetes. We are moving. We are planning. We will bring World Diabetes Day into the spotlight! And like the Who’s in Whoville, we will yell, “We are here! We are here! We are here!” We will educate the ignorant, we will move the indifferent. Even if it is only in our own little communities. If you are interested in ordering one, jump over to Joanne’s blog, Death of a Pancreas, and let her know. No commitment yet, she is just getting a quote from the printer and then we can go from there. I'm SO excited!! Hmmm....what else can we do....I think I'm going to contact our local newspaper for an article on Nov 14th....I'll send in a request with a video....if we found someone from each state around the world to do so.....THAT would also be a great start! You got me all pumped up!! this is what I'm talking about!! Jared and I aren't sure the symbol is unusual enough for people to ask what it stands for. 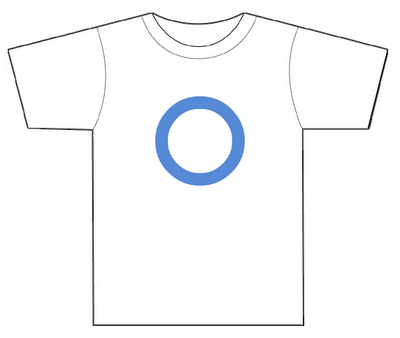 It might just look like a blue circle on a t-shirt. I mean, if it was more widely known that is one thing, but you might want to put "World Diabetes Day" on the shirt or something. Or not. I don't know. Jared and I both thought the same thing though. Great to meet you, too! Love your blog- I have no idea how you handle 3 T1s! WOW!!! Finding you & the other D mom bloggers has been a wonderful surprise! It helps not feel so alone! Thanks! Wow very cool!! How exciting!! I am all over it!